That’s a wrap. No more “hoe hoe hoe” and lots of “ho ho ho” as another gardening year ends and the holidays arrive. How was your year? Here’s “ho ho hoping” your tomatoes were all you thought they would be this year and your landscape brought you the “ho ho horticultural” joy you were seeking. Were you naughty or nice? Doesn’t really matter at this point with the ground frozen solid. What matters are visions of sugar plums and spring blooming dreams dancing in your head. 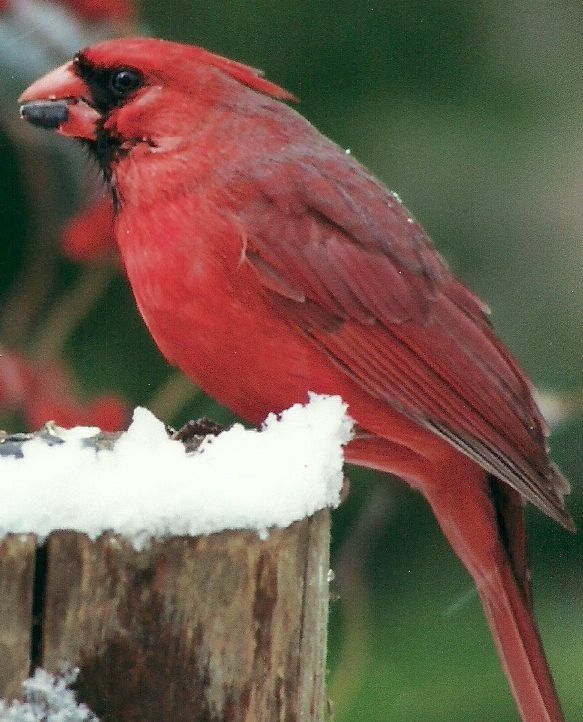 Provide the wild birds a holiday “tweet” with some seed and suet offerings in this season of giving. The landscape color they provide in a white and grey tundra backdrop is a welcome sight as we approach the shortest days of the year. Make sure feeders are clean and seed stays dry so your feeding station is the gift that keeps giving. When the weather gets cold backyard birds need more than just bird seed….they need a water source and suet too! Make sure to keep fresh clean water in the tree stand so your live cut Christmas tree continues to draw fresh water. If not, the base of your tree trunk calluses over and then has a “drinking problem” unable to pull water into the tree similar to a straw. One way to check the water level at a glance is to float a ping pong ball or fishing bobber or other small floatation in the bowl. You can visually gauge the level versus having to crawl under the tree and use the finger method. A household pet can usually provide a good indication too based on their level of interest. Poinsettias provide great seasonal color indoors and are quite festive and durable through the holidays provided you avoid a couple conditions. First and foremost is over watering. Most people kill the plants with kindness. Don’t commit involuntary plant slaughter by drowning your plants. Secondly avoid cold drafts. I’m not referring to a holiday draft brew, save that for yourself. I’m talking about drafty doorways sure to bring on rapid decline of the plant. Conversely the dry air of close proximity to a heat register is not good either. Look for a well lit area that is removed from “extremes” and you should be just fine. 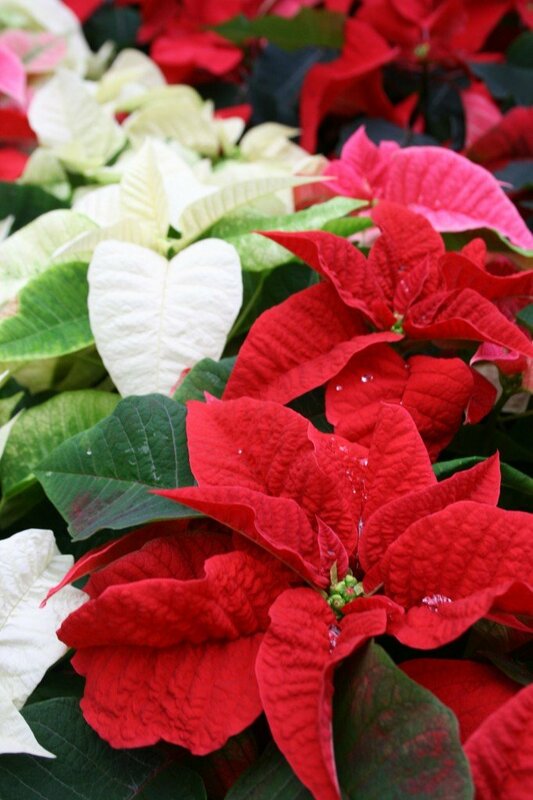 Today’s improved varieties of poinsettias developed by breeders for longevity and color should easily survive until April when your thoughts again return to the great outdoors and the plant is pitched into the trash.